In the VMware Communities an issue with ESXi 5.0 Update 1 was reported that is important for everyone who uses the free (VMware vSphere Hypervisor) version of ESXi 5.0: Apparently VM autostarts do not work anymore after installing Update 1 if the host runs with a free license. The VM autostart function will automatically power on a defined list of VMs in a defined order when the system boots. This is probably used by a lot of people who run standalone ESXi hosts with the free license. I was able to reproduce this issue in my home lab, and currently there is no workaround or solution. So if you rely on this functionality then you should postpone the installation of Update 1 until a fix for this is released. If you have already installed Update 1 and want to make it undone due to running into this issue then you can roll back to the previous installation (without Update 1) by pressing Shift-R at the ESXi boot prompt. Update (2012-07-14): VMware has released a patch for ESXi 5.0 on July 12th that fixes this problem. Yesterday VMware published minor updates to their Cloud Infrastructure suite products including vCenter and ESXi 5.0 Update 1. The news is already well covered, e.g. here in the VMware vSphere blog by Duncan Epping. Please note: I noticed that this post still gets a lot of attention... Before reading through the whole post you should know: the workaround described here is only necessary for ESXi 4.x. For ESXi 5.x there is an officially supported Online ACU CLI available from HP (see the update at the end of this post)! A while ago I posted about the Offline version of HP's Array Configuration Utility (ACU). HP does not provide an Online version of this tool for VMware ESXi, so expanding a local RAID array can only be done with this Offline version which requires a downtime of the host for the whole duration of the expansion. Somehow I did not want to accept this, and - by just trying it out - I finally discovered that you can actually run the Linux version of the ACU CLI tool (hpacucli) in ESXi! hpacucli is not the web interface version of the ACU (which is called cpqacuxe) that you may be used to from Windows systems. cpqacuxe is also available in a Linux version, but I could not get it to run in the ESXi shell. hpacucli is surely less intuitive to use, but it offers the same functionality than the web tool and allows you to do all controller configuration and volume expansion tasks that are supported with SmartArray controllers. 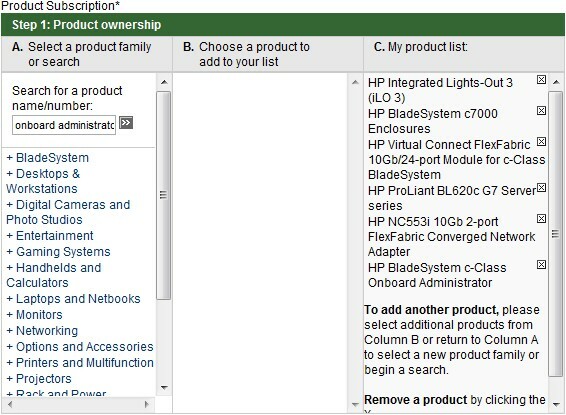 Before trying it be sure to look at the Configuring Arrays on HP Smart Array Controllers Reference Guide (section "Using the ACU CLI", p51 f.) to learn how to use it. The reference guide also describes another utility named hpacuscripting that is also included in this package and works with ESXi. I haven't tried that, but it looks like it is mainly meant for the initial RAID configuration on a newly deployed host. 1. 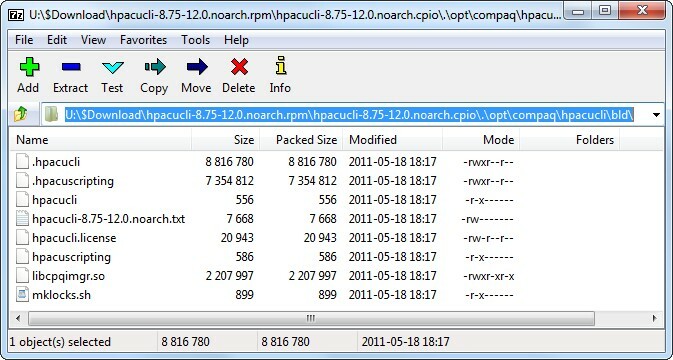 Download the file hpacucli-8.75-12.0.noarch.rpm from HP. 2. Download 7-zip and install it. 6. 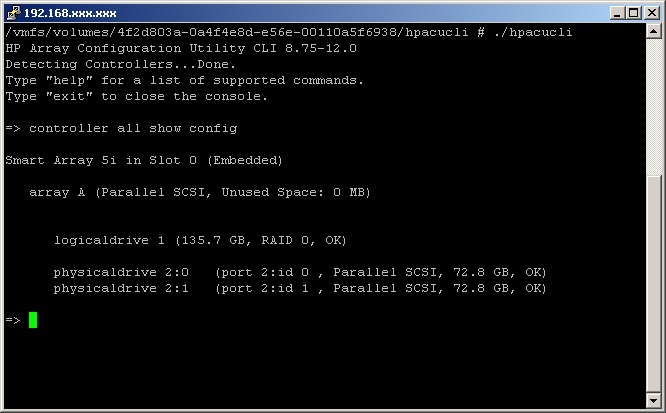 Download the patch script fix4esxi.sh that I prepared and put it into the same directory. You need to run the script only once! It will patch the shell scripts that are included and restore the executable permission bits that got lost when we extracted the files in Windows. The command controller all show config will immediately show you if the utility has detected your SmartArray controller and display its configuration. With the help command you will get an overview of all available commands and how to use them. However, I strongly recommend reading the above mentioned reference guide, because it includes more detailed information and usage examples. Now at the end ... a big fat warning and some more hints: Running hpacucli inside ESXi is (of course) not supported by HP or VMware! I can tell you that it just works for me in the configurations that I was able to test, but it could as well fail completely for you or blow up your host! The tool was able to detect SmartArray P400 and P410i controllers with ESXi 4.1 and 5.0. On an ESXi 5.0 host with a P400 controller I was able to break a RAID1 mirror and concatenate the disks to a RAID0 volume of double size. However, ESXi would not pick up the changed disk size, so I was not able to grow the VMFS volume without rebooting the host. At least I only needed to reboot (causing a very short downtime) and did not have to take the host offline for the whole volume conversion process (which can take very long depending on hard disk sizes). I wonder if ESXi not detecting the disk size change is due to the old cciss driver that the P400 controller is using. Other SmartArray controllers use the newer hpsa driver that might not show this issue. Please provide feedback by commenting on this post if you manage to successfully make use of hpacucli in ESXi like described here! This will help to get me and others an overview of what works and what not. 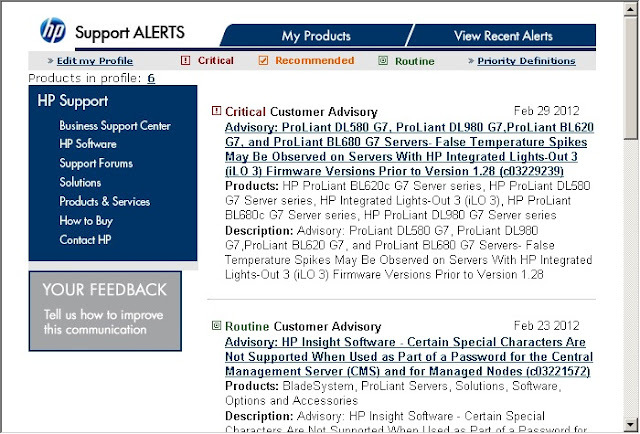 Update (2012-04-18): In the meantime HP has officially made available hpacucli for ESXi. It is part of the HP ESXi Utilities Offline Bundle for VMware ESXi 5.0 that I reference on my HP & VMware Links page. For earlier versions of ESXi you still depend on the workaround that I described here.